May Is Mental Health Month: Where’s Your Sanity? Everybody is overwhelmed and nobody is afraid to talk about it. Historically speaking, we are more sophisticated than ever emotionally; we are highly aware of what we feel, and we can talk about it. If we don’t feel better, it’s only because our methods for dealing with what we feel are still so antiquated. It’s just the same-old, same-old: try to be better, get inspired to change. But it doesn’t’ work. It is deeply American to work more and try harder. Unfortunately, strong and deep emotions do not respond to common sense. No matter how much we want to be calmer, more organized, get a grip, be patient, loving, healthy, happier, and at peace, these good intentions can fly right out the window in the face of emotions. Our favorite ideas for leading our best life disappoint us because they don’t penetrate our hearts. They simply don’t impact our emotions. 2) Stick with it. Don’t just take a quick peek inside yourself, freak out, and leave. You have to hang out with your own thoughts for a while, in search of something you don’t yet know about yourself. And there’s a lot you don’t yet know about yourself, by the way. Harvard researchers are calling the unknown parts of your brain the “adaptive unconscious.” Simply put, there is just no way that you can know everything that’s going on in your own mind at any one time. If you’ve ever scratched your head and wondered why you can’t change, that’s why: you don’t know your whole story yet. 3) Find someone to listen. A good sounding board keeps you moving forward, looking for the thoughts, ideas and feelings inside yourself that you don’t know yet. Some people find that they can use a yoga mat, open valley or solitary journey to open up to themselves in a new way. But better yet, find a real live person to talk to; someone who isn’t going to give you more advice and try to move you to a better place. Someone who won’t judge you, who can tolerate everything you feel, and who can ask you questions. Someone to hear you. 4) Find strength in being heard. Thoughts and feelings that are hidden from our conscious day-to-day life are generally strange. One woman discovered, on her inward journey, the hidden idea that becoming an adequate person might lead to losing her family. Another man realized that his desire to become a more effective leader came from a desire to hurt people. (He had been hurt as a child.) Our hidden stories keep us from moving forward, and they stay hidden because they are so quirky, irrational, negative and strange. It takes strength to know things about ourselves that are so strange. The good news is that being heard (see #3 above) is very strengthening. So keep working on being heard, and deeply understood, and the rest should follow. 5). Don’t bring your family into this. As much as your partner, you parents, and your best friend (who is like family) love you and want the best for you, they are probably the worst people to listen to your emotions. Because your pain is their pain. It’s much easier for someone to hear you who can be a little impartial. A clergyperson, a new best friend, or a therapist who knows how to ask really good questions. For this type of work, don’t rely on life coaches, behavioral therapists or insight-oriented therapists who will try to move you to a new place and/or otherwise try to create change in you. Remember: you want to get to know yourself, not force more change. This is not about more solving. It’s about evolving. Inward journeys, where we connect to unseen parts of ourselves and seek to be heard rather than improved, are deeply rich and unforgettable. Those emotional “aha” moments, when we finally land on what has been holding us back from changing a small habit or realizing a large dream, change us naturally and eternally. 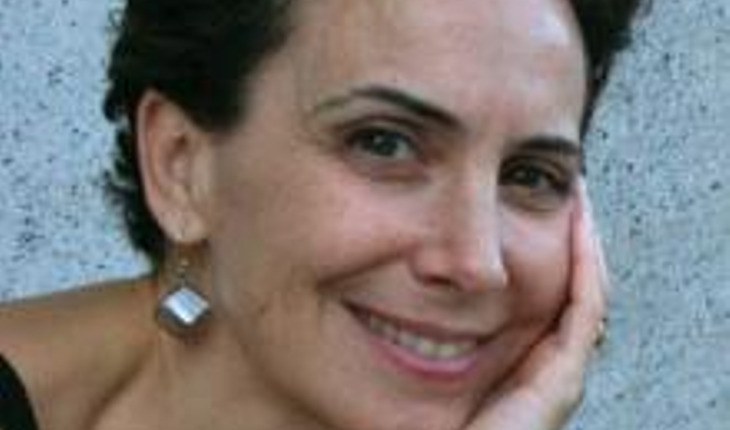 Dr. Claudia Sheftel-Luiz, Ed.M., Harvard University, Cert. Psya., PsyaD, BGSP, is the author of Where’s My Sanity? Stories that Help. Dr. Luiz has been in clinical practice and serving as a consultant to profit and non-profits for over 25 years. She is the former Director of Extension at the Boston Graduate School of Psychoanalysis and former Co-President of Professionals for Parents and Families. For more information, please visit http://wheresmysanity.com/ and connect with Dr. Luiz on twitter, @cluiz.